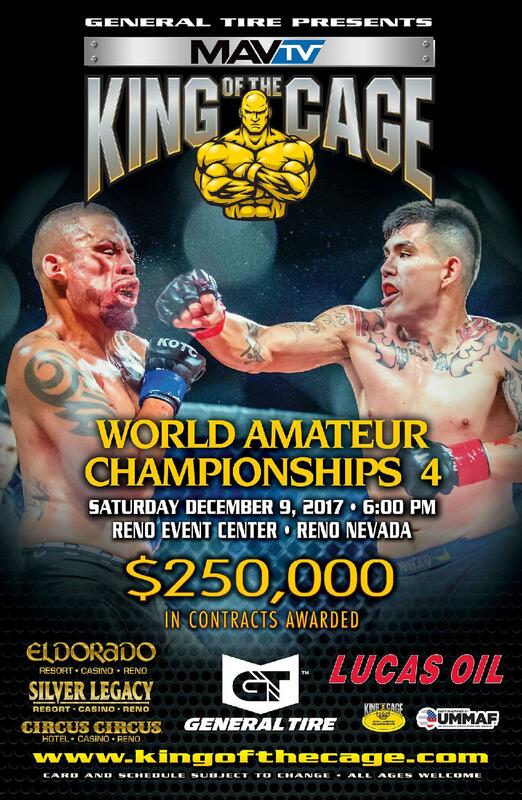 King of the Cage and MAVTV, owned by Lucas Oil announced the fighters participating in the World Amateur Championships 4 to be held at the Reno Events Center in Reno, Nevada on Saturday, December 9, 2017. 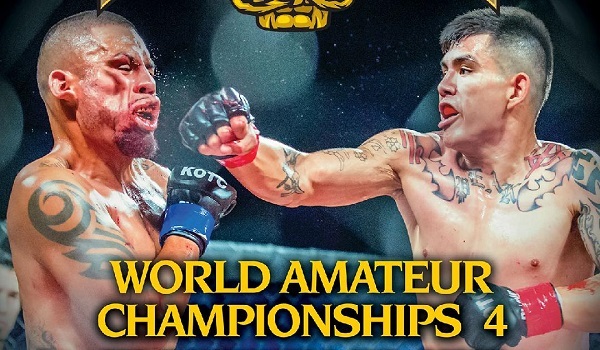 The World Amateur Championships 4 will feature the top amateur fighters from around the globe competing for the chance at earning professional fighting contracts worth $250,000. The World Amateur Championships is a first of its kind event with over 1,000 fighters applying to compete in this event. but only forty (40) of the most elite MMA amateur athletes from around the world received the chance to win over a worldwide crowd, with their skills, heart and personality competing to win a professional contract with KOTC. They will compete for five (5) professional contracts totaling $250,000. This event was designed to find and develop not only the highest level of fighters but also the most unique. Complete Fight Card to be announced soon. The World Amateur Championships 4 will be broadcast live in over 50 million U.S. households on MAVTV. MAVTV is currently available on DIRECTV (channel 214), Verizon Fios (channel 810), Comcast, Google Fiber, Time Warner Cable, Charter and hundreds of regional distributors. Doors open at 5:00 pm and fights start at 6:00 pm. The LIVE broadcast will begin @ 6pm PST and the online voting for the champions will go on throughout the night, finishing up with the winners announced immediately after the last fight. Reserve seating and ringside tickets are on sale now. For more information or to purchase tickets, please visit Ticketmaster www.ticketmaster.com or the Reno Events Center and Silver Legacy Box Office. All ages. 20 Fights, 40 fighters from all over the globe will compete. Competing for five (5) Professional contracts totaling $250,000. Five (5) competitors will be voted into a contractual opportunity which will give them contracts (1st Place $100,000) (2nd & 3rd Place $50, 000) and (4th & 5th Place totaling $25,000) to pursue their dream as the next big star in the MMA world. 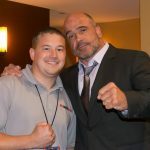 Fighters who wish to be considered for this event can go to www.kingofthecage.com and fill out an application. Fight Card to be announced soon.